James George Abourezk (born February 24, 1931) is an American politician. He is a former Democratic United States Representative and United States Senator. He was the first Greek Orthodox Christian of Lebanese-Antiochite descent to serve in the United States Senate. 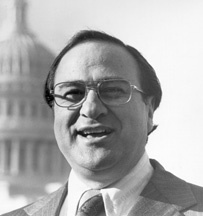 He represented South Dakota in the U.S. Senate from 1973 until 1979. Booknotes interview with Abourezk on Advise & Dissent, March 25, 1990. This page was last changed on 7 November 2017, at 10:41.